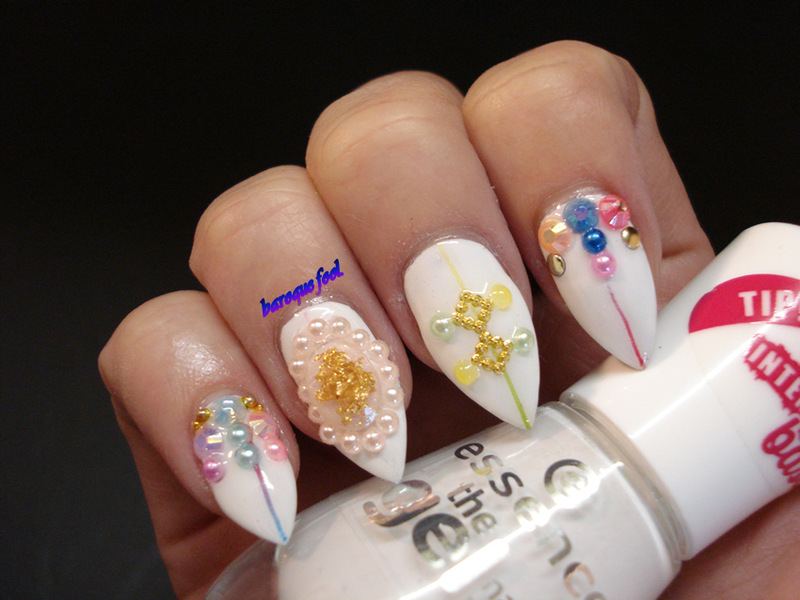 Check out 19 embellished nail art designs for an ultimate Navratri look! Navratri festivities are in the full swing. This nine-day festival celebrated in the honor of Goddess Durga brings is accompanied by garba dancing, fasting, and spreading the joy! To make it more exciting, let’s focus a bit on our looks. From traditional, ethnic Indian wear to opting for a sweat-free makeup at Navratri dandiya nights, everything needs to be thought-through. Flaunt nine different looks across Navratri (in Sanskrit it means nine nights). Besides, pay attention to your hands, especially fingernails. Afterall, you are going to be holding those sassy dandiya sticks, so, shouldn’t you be painting your nails in style as well? Jazz up your look, amp up your overall style and look sizzling hot with our recommended embellished nail art ideas. Sporting a heavy nail art look is the hottest trend these days. Plain manicures have been twisted and tweaked to perfection. 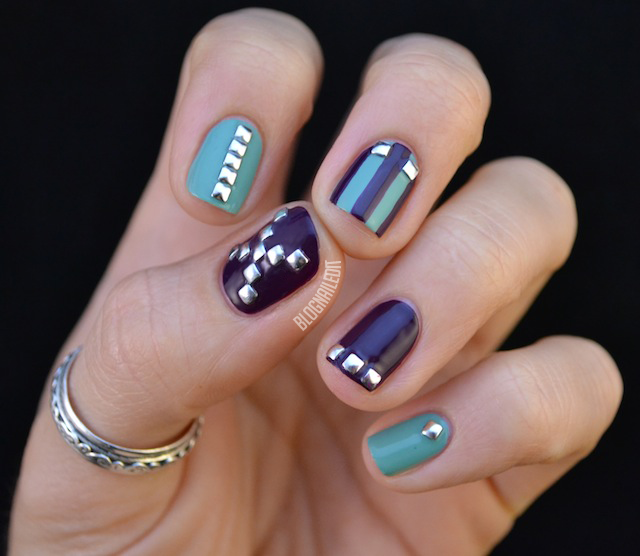 Jewels, studs, crystals, glitter, sparkles and everything bold is the new nail art statement! For a unique nail art look, apply stones, sequins, stick-ons which go well with your attire. Infact, you can also opt for french manicures with multiple colors and very sparkly embellishments. And don’t forget to give caviar nail art a try. You will have to visit the salon and seek professional help with that. But, it’s worth trying. This Navratri, break all those simple rules of wearing boring, monotonous nail shade and enter into a new world of experimenting with colors and going bold with your beauty statement. For a stunning look, choose super bold colors, gems, and eye-catching designs. You will definitely require a lot of care and technique to apply stones to nails. Therefore, it’s best to visit the nail spa first. Once you have become a pro at that, the same technique can be easily applied at home. There are many do-it-yourself, at home options available too. The finish might not be that perfect, but getting started is the key to applying embellished nail art at home. All you need is a little practice, stock of things required and a lot of patience! The easiest way for getting perfect embellished nails is to apply nail art stickers. They are available in the market and come is various sizes and has special glue that allows the design to stick to nails. You can sport the same look or go for a slight change by applying variation. And the best part is that you can choose designs that match your outfit and makeup. We want you to get inspired by best of the best, embellished nail art designs. So, here are a few for a quick look!